Happy Valentines Day! 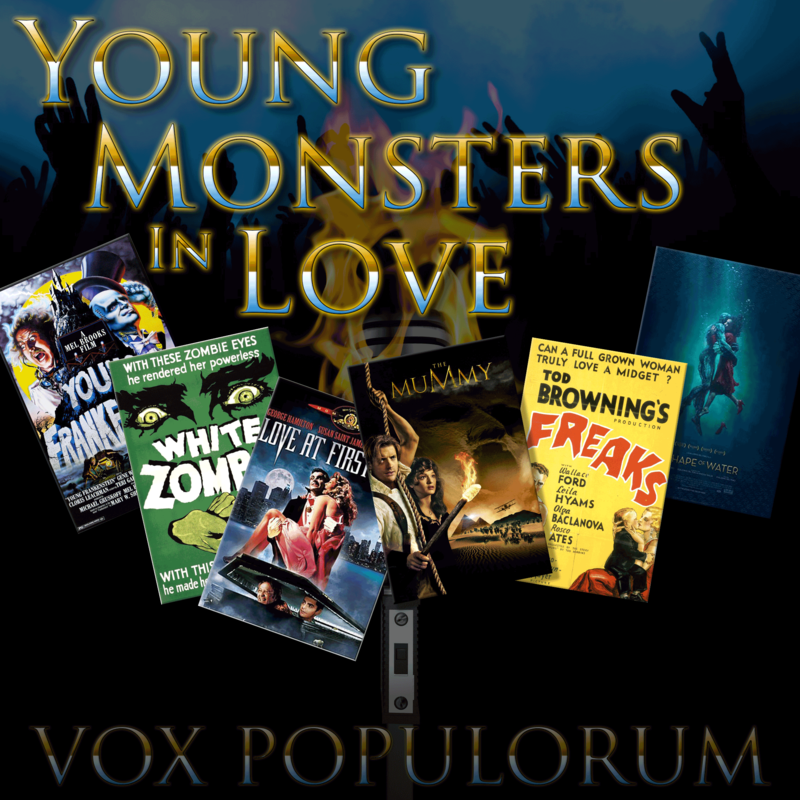 We thought we’d celebrate by exploring the most romantic of all pop culture genres… no… not RomComs… Monsters of course! Today, Wayne, Hannah and Mav are joined by a returning Michael Chemers and Heather Duda, our resident monster experts to talk about the romance, love and sexuality that is implicit in the monster and horror genres. We touch on vampires, zombies, frankensteins, swamp things, beasts, mummies (which Hannah will explain is the greatest love story ever… for reasons) and we even throw in a little Harry Potter in case you didn’t get enough of that last week. Listen up and let us know your thoughts. Thank you to Maximilian’s thoughtForm Music for our theme. If you are interested in monster love stories you should watch A Girl Walks Home Alone at Night. It is a Iranian film (English subtitles) in which a young Iranian woman is a vampire who takes vengeance on men who are toxic in some way. She falls in love with a troubled young man and a relationship develops. It was written and directed by Ana Lily Amirpour and is visually stunning.